This lovely pot of flowers was a gift from a neighbour back in the beginning of the year. 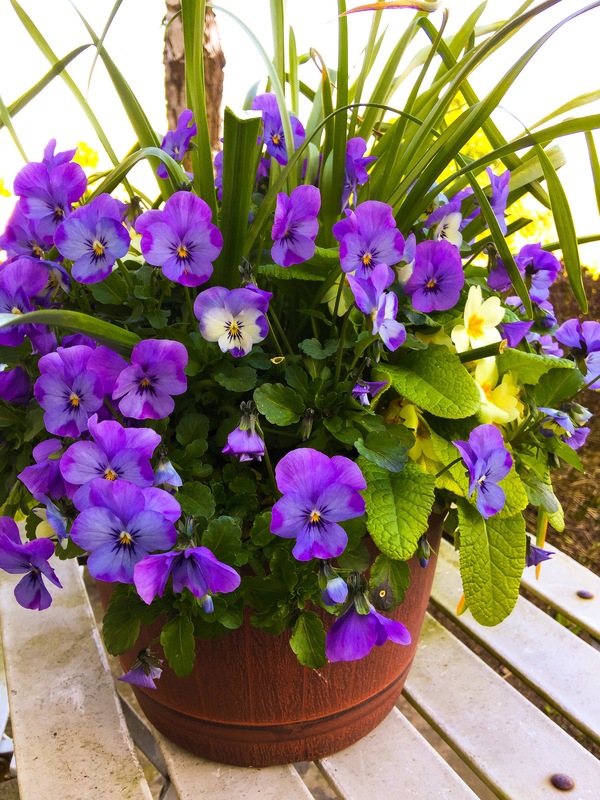 They have been an impressive display of mini daffodils, then polyanthus and now purple pansies. So they have been smiling at me for over three months and they sit outside my front window. I can’t believe they have lasted so long.